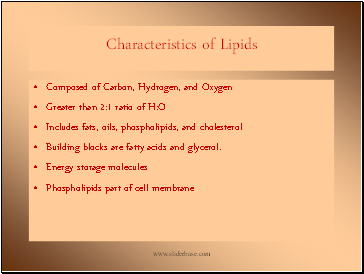 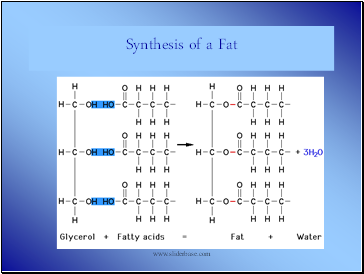 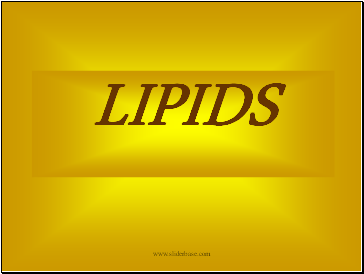 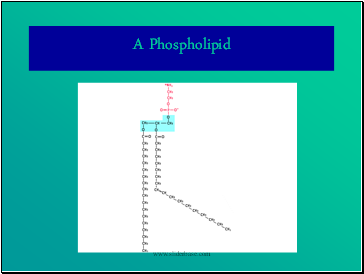 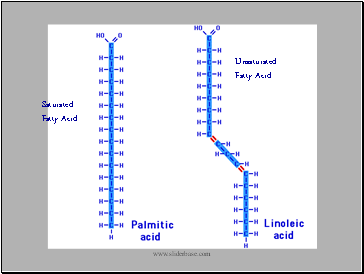 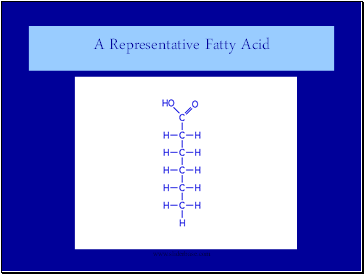 Building blocks are fatty acids and glycerol. 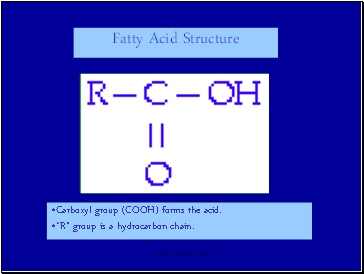 Carboxyl group (COOH) forms the acid. 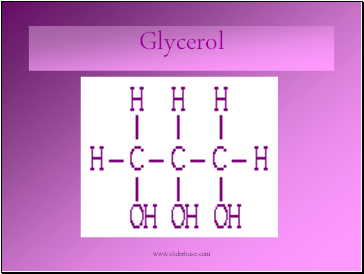 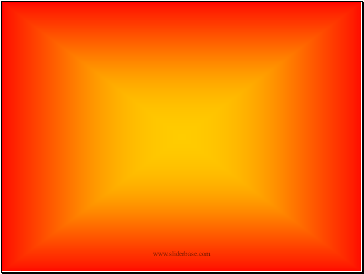 “R” group is a hydrocarbon chain.